Take advantage of a built-in wine rack, available in four- to six-bottle widths, and a stemware holder to store your precious glasses. Use tray dividers to store bulky items like cutting boards, muffin tins, and cookie sheets neatly. 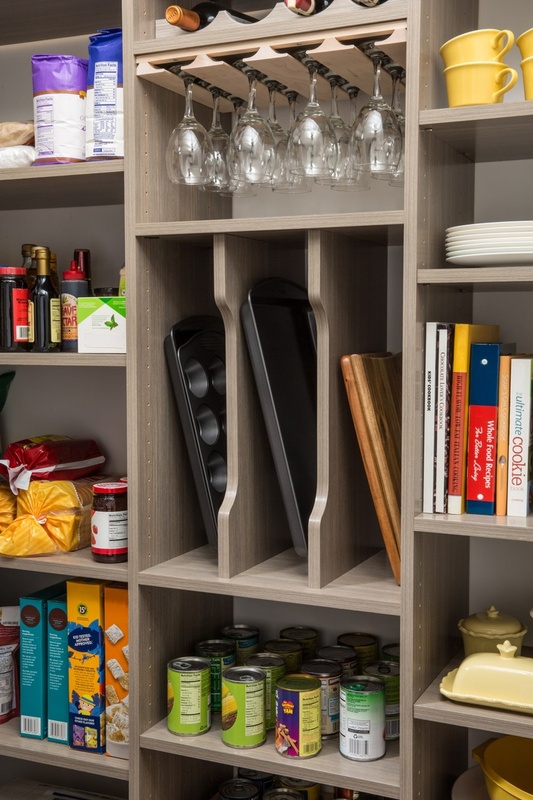 Adjustable-height shelves keep extra place settings close at hand for any time company drops by.